This black and white photograph comes from the Hell’s Hole trail about 20 minutes from Idaho Springs. The trail leads to Hell’s Hole, a small swampy area with little redeeming value. 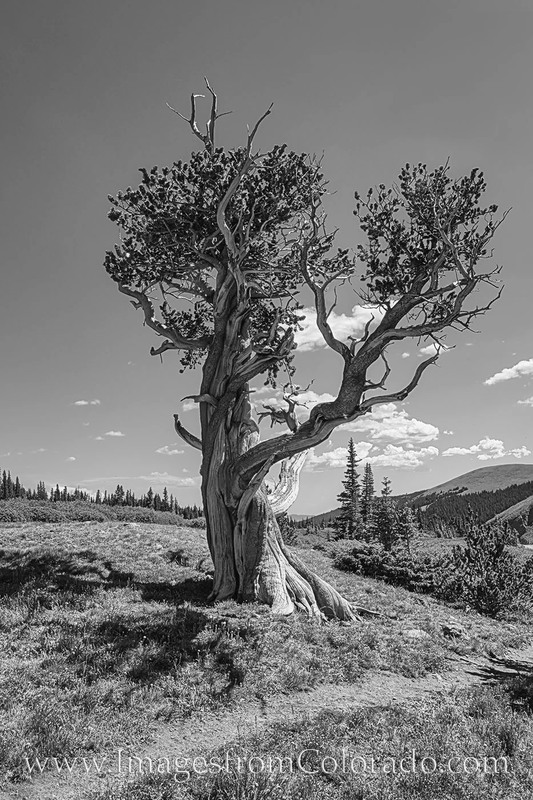 This bristlecone pine sits at around mile 4 where the trail fizzles out. After that, if you want to go further, you head up another thousand vertical feet or so to the ridge, and eventually over to either Sugarloaf or Gray Wolf Mountain (both 13ers). Photo © copyright by Rob Greebon.